Kind Donation from Supportive Company ..
"Supporting the future of the RACHP industry is important and we gladly welcome the recent very generous donation of air conditioning equipment which the apprentices can utilise whilst on the apprenticeship programme. As the industry moves forward it is vital that companies support structured learning. This provides more opportunities to apply their knowledge and use the skills set which has been taught." 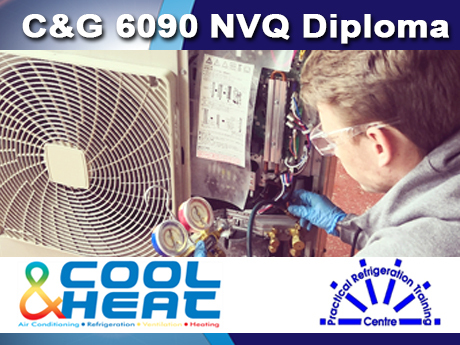 As one of the companies using our services for the 6090-20/30 New Standards suite of qualifications Cool and Heat have said ..
"Supporting a local college by donating equipment is hugely beneficial to us as a company. It means that future engineers have the opportunity to experience the equipment first hand and this includes some of our own apprentices and engineers who study at the college. Young people who have access to hands-on learning are sure to be well prepared when they enter the industry."